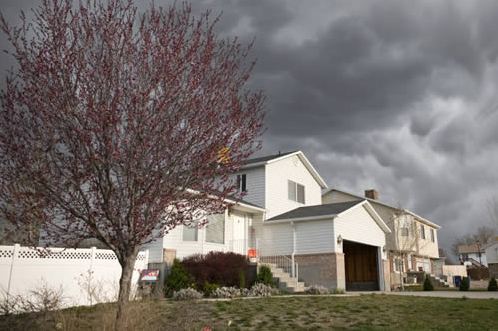 The storm windows on your house protect the property from many different elements and damages. First, the storm windows provide an additional layer of protection against harmful storm elements and debris. This additional layer of protection can preserve the other windows that are on the house and can also protect the furniture on the interior from being damaged from such things as hail and other elements. However, the functionality of storm windows expands even further to improve the energy efficiency and comfort levels of properties. Since storm windows are designed to add an additional layer of protection to window frames, this can bolster the energy efficiency of your household. Increased energy efficiency is not only helpful for the environment, it can also save you more on the expenses of utilities and other costs. In all, installing storm windows can be very helpful. However, if you have had the same storm windows for years and are beginning to notice cracks in the seals or in the frames, improvements such as repairs to storm window greates will be needed promptly. These cracks will need to be repaired promptly because they can quickly expand into major and irreparable damages. As such, the following are some tips for getting started. The place where the cracks are occurring is mainly going to determine the manner in which they will need to be repaired. First, if the glass pane of the window is cracked, your best option is likely going to be replacing the glass or the entire storm window. Although a sealant may be available to bond the glass crack, this can still cause a weak spot in the window to remain, causing the possibility for easy damages in the future. However, if the cracks are occurring in the seals around the window, then new caulking or foam is likely going to be the solution that you need. Often, caulking will need to be replaced every several years to ensure that a tight seal is achieved to avoid such problems as air leakages. As such, the cracks that are occurring may just be common problems that can be easy and cost effective to correct. However, be sure that they are finished correctly to ensure that the issue is completely resolved and to avoid unnecessary repairs from being needed in the future. Often, cracks in storm windows are too far beyond repair, causing the need for new windows to be purchased. If you have resealed the cracks several times in the past but they keep returning larger each time, then the best solution may be to replace the windows. This could also be an indication that the new windows should be purchased with more modern framing materials. The more durable the materials around the frame, the less likely you will need to deal with such issues as cracks and other common problems. Windows in storm designs can often be affordable to purchase, you will just need to compare the options that are available and make an informed selection from among the available dealers. Although you may initially be concerned with the process of replacing cracked storm windows on the house, this can be an affordable and worthwhile project. With this home improvement, you will be increasing the security of the property and will also be increasing its energy efficiency. In all, regardless of which option you select, the most important thing is to ensure that you begin fixing storm window cracks or replace the windows as soon as possible to keep the problems in check.